ONTARIO – January 18, 2019. A long time Ontario family of 53 years hopes to help re-energize Ontario’s downtown business district on Ridge Road. Tim and Kim Strickland and their son, Colton, have opened two new businesses. Tim, a financial advisor, opened Life-Vest Financial Group at 2011 Ridge Road and Core Fitness Center, with son, Colton, acting as the manager, at 2013 Ridge Road. The building for the two businesses has been purchased by the Strickland family and offers 4,100 sq. ft. of useable business space. 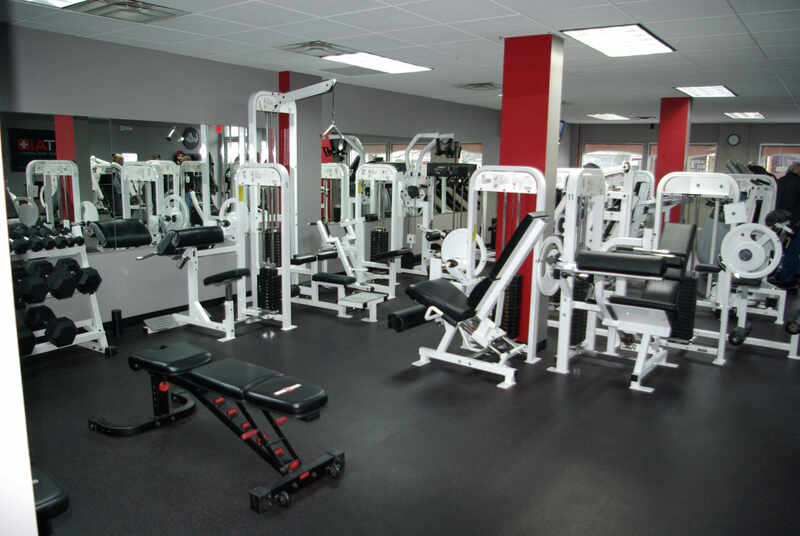 The gym area consists of 3,000 sq. ft. and the office area for Life-Vest is 1,100 sq. ft. The facility has been completely renovated from top to bottom and in a couple instances uses the original oak wood from the bar that was previously located in The Barn Door, a restaurant/bar that occupied the space for many years. 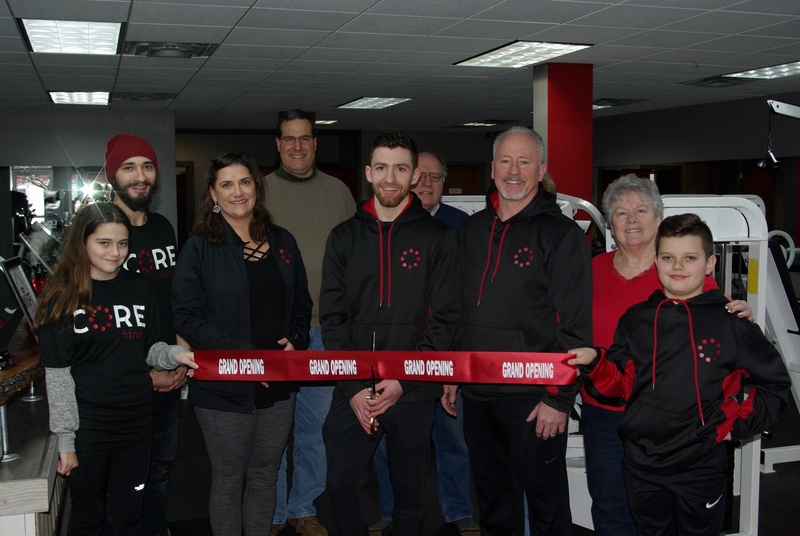 Core Fitness Centeroffers customers use of a large variety of exercise machines including weights, dumb bells, medicine balls, battle ropes, and use of a private sauna. A barbershop is operated by Colton Strickland, a master barber, and is part of the Core Fitness Center environment. Hot towel and hot lather shaves are offered along with a full facial for men. He uses Reuzelproducts, which are all natural from Holland. Ricky Mastrodonatoalso works as an apprentice barber. A membership discount is available to Core Fitness members for barbershop services. Core Fitness has different select plans for everyone’s life style with no joining fees. The levels of membership are as follows: Standard – $24.99/month; Premium $29.99/month; VIP $34.99/month; VIP Partner Plan $44.99/month; Family Plan $54.99/month. A standard month-to-month membership is available for $29.99/month or $39.99/month. A one-day pass can be purchased for $5.00 with gym and sauna access. A $5.00 discount is offered to Ontario Chamber members on any level of membership except family. 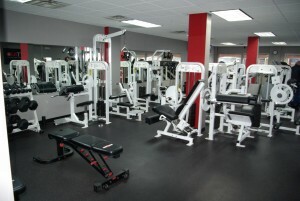 Please visit www.corefitnesswny.comfor details of each of the listed plans or call (315) 333-1244. Staffed hours for Core Fitness are 5 AM to 10:30 PM, weekdays; 7 AM – 7 PM on Saturday; and 7 AM – 6 PM on Sunday. Twenty-four hour access will be coming soon. Life-Vest Financial Groupoffers investment and retirement strategies, life insurance, and group benefits for employees. 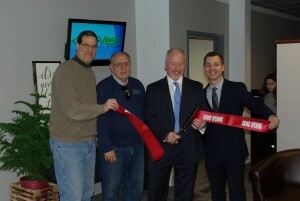 Tim Strickland and his partner, Bradley Sheremeta, opened Life-Vest Financial, both Financial Services Professionals. Hours are 9 AM – 4 PM, Monday – Friday. Evening appointments are available as well as walk-ins are welcome. They can be reached by phone, (315) 333-5139 or email: tdstrickland@ft.NewYorkLife.comor swsheremeta@ft.newyorklife.com. Ontario Chamber members were on hand to congratulate the Strickland family for their accomplishment. The ribbon cutting ceremony is a service provided, with chamber membership, by the Ontario Chamber of Commerce to welcome new businesses into our community.